The Airbrush Makeup Guru: Temptu Marsala starter set and Color True lipstick: review and video demo! 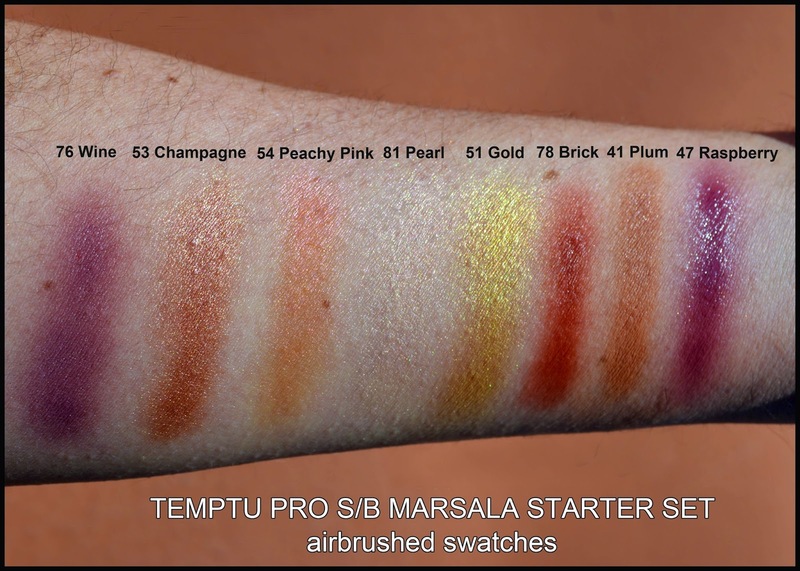 Temptu Marsala starter set and Color True lipstick: review and video demo! Every year the world leading authority on color Pantone organizes a meeting of experts in a secret town in Europe to determine what the color of the following year will be. The outcome of the meeting will influence every visual industry very deeply, starting of course with fashion and makeup. When the color Marsala was announced as the choice for 2015, Temptu was not caught unprepared: their wide range of silicone based shades already included an ideal group of colors that could be bundled together to create fantastic looks within the new color of the year palette. The Marsala S/B Starter Set is a wonderful selection that will inspire any airbrush artist to move out of their comfort zone and experiment more with their airbrush. This liquid palette includes four matte shades :Brick, (which is a perfect Marsala) and Wine, Plum and Raspberry. The matte colors are complemented by four more shimmer shades: Pearl, Peachy Pink, Champagne and Gold. Please scroll down for swatches. Each of these colors can be used in a variety of ways, alone or combined, to create highlights, eye shadows, blushes and even lip shades. In a situation where the only limits are those of your own imagination, I find that grouping colors in palettes can be wonderfully helpful, and I really hope that Temptu will come out with more in the future. The bottom line here is one that the company itself is starting to use in their marketing: airbrushing is so much more than foundation! 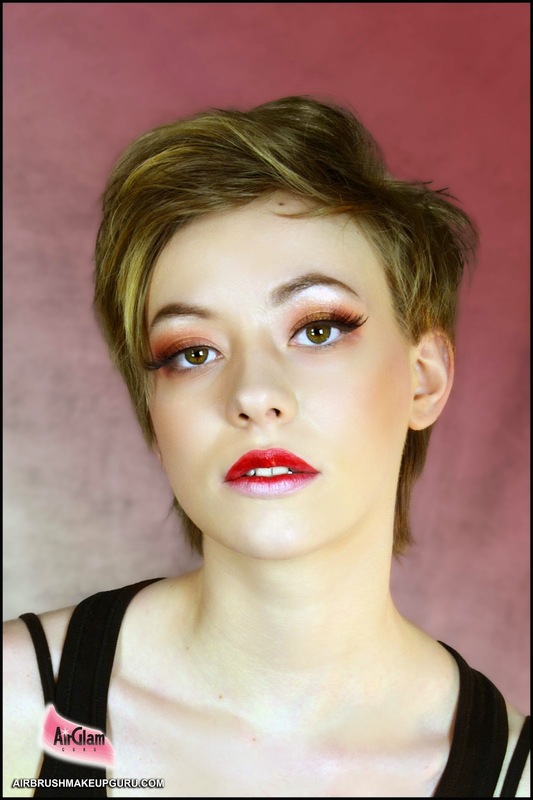 There is still a lot of diffidence amongst airbrush MUAs when it comes to airbrushing eyes, especially with silicone based products that scare many because of their mobility on the eyelid. I personally love the possibilities that S/B colours offer, especially for eyeshadow. I love their soft blend, and once they are properly set, they are virtually indestructible. The video tutorial we are posting here is aimed at showing exactly what we just described. 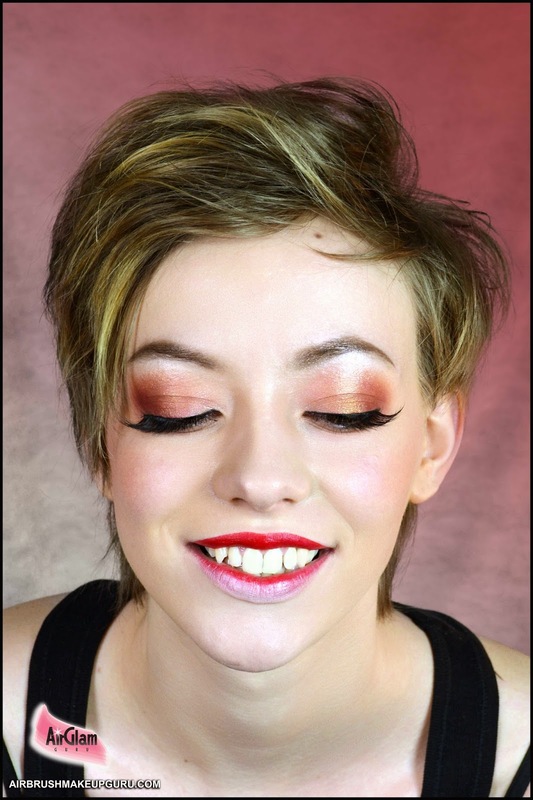 We used the recent Marsala campaign by Sephora as our inspiration in creating this look entirely with Temptu products. We used almost the entire Marsala set and other colors coming from the foundation group and from the Airbrow kit. We are also super excited in introducing Temtpu's amazing new line of lipstick called Color True lipsticks. These are truly among the best lipsticks we ever tried. They are amazingly pigmented, and you can see for yourself right in our video the 100% color payoff they offer. The texture is firm but incredibly smooth, and the finish is beautifully semi-matte. There are currently 8 shades available and while they are on the pricey side, the website often offers promotional codes that will allow you to save considerably even if you don't have a pro card. Finally, Temptu Pro has just launched a new series of kit combinations, so if you are considering trying this brand for the first time or if you are looking for an upgrade of what you already have, there is not better time than now for a visit to the Temptu Pro website! PRO TIP: To airbrush silicone based eyeshadow successfully, lightly prime the eyelid with silicone based primer. 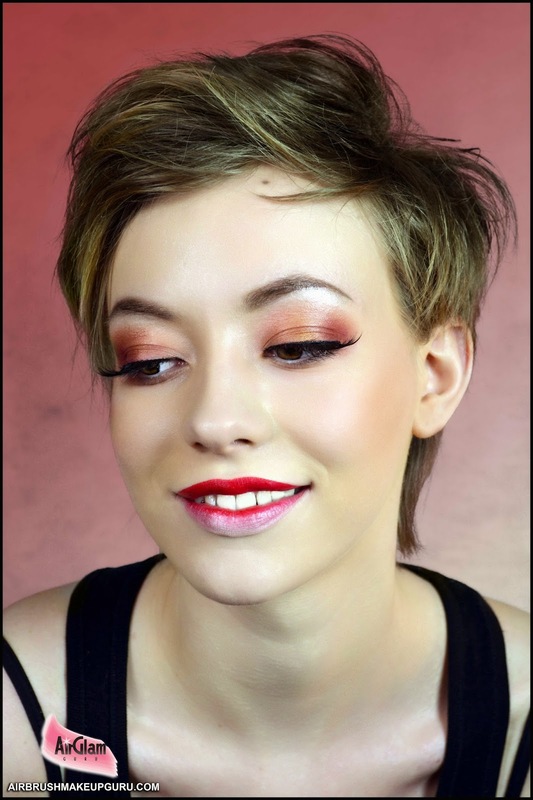 Spray colors lightly, thoroughly dry with airbrush on air only, then spray Mist & Fix by Makeup Forever and dry again: your eyeshadow is now set and will not crease, smudge, transfer or move. I love this makeup and the colors! Nice work! i love this make up!!! !